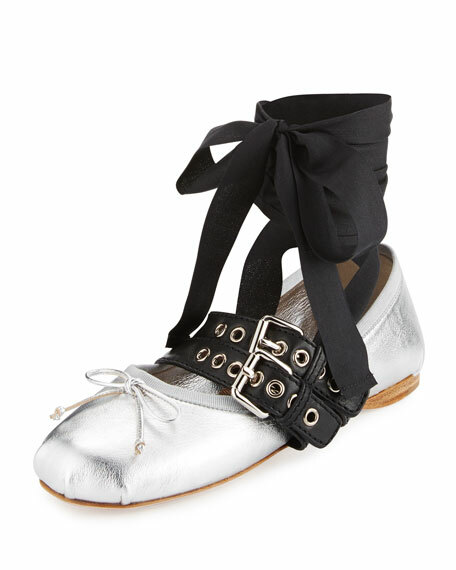 Miu Miu metallic leather ballerina flat. 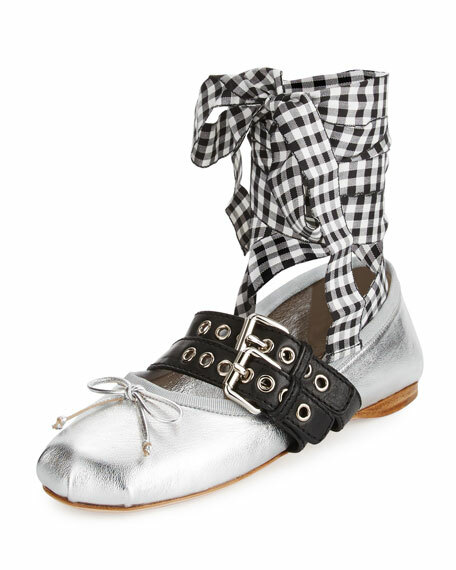 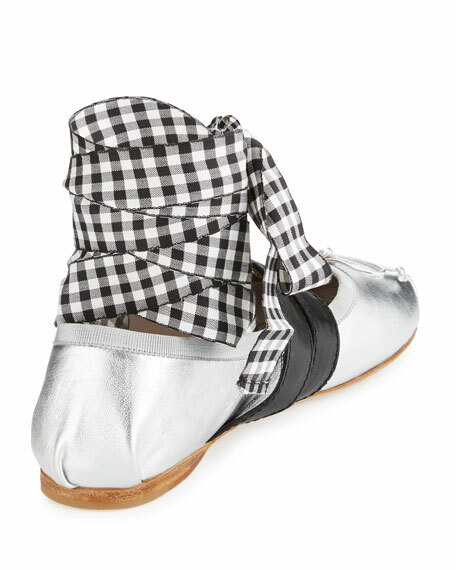 Includes gingham-print and solid ribbon. 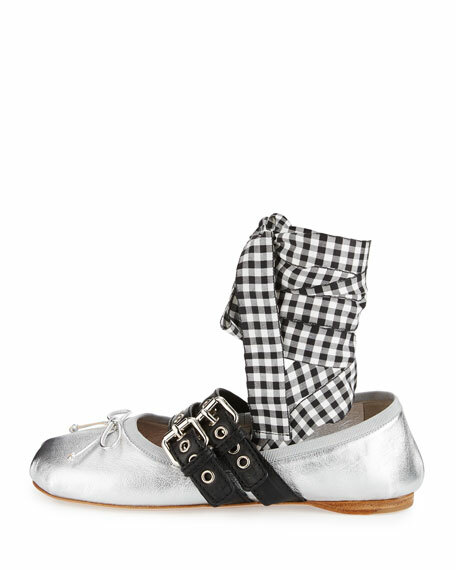 For in-store inquiries, use sku #1904480.